In a BBC story two days ago captioned, "Like. Share. Kill. Nigerian police say false information on Facebook is killing people" and written by "Yemisi Adegoke and BBC Africa Eye," the portrait of social media being used to kill was painted with reference to a June this year "Berom on Fulani" "retaliatory" massacre in Jos. Interestingly the same "Berom on Fulani" massacre event had been relayed in an identical story "Fake news and Nigeria's herder crisis" by the BBC in June right after the massacre as evidently fed to the corporation by the Buhari government. 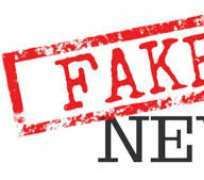 "The British Broadcasting Corporation just published a quite unprofessional article in which they claimed that “Fake News” was “Fueling the Fulani-Farmer Crisis” in Nigeria. It appears the agency was fed the article, because neither the Fulani, nor the farmers have gigabytes to download images and rely on these images to strike communities or cattle. They could have said that the images were provoking sentiment, but to say it was fueling the crises was a meaningless editorial joke. "Additionally the article described gruesome images as somehow fueling the crises because a few of the images were from other massacres. How does a different massacre image fuel crisis? Do the images from the actual massacre look any nicer? Were the bodies in Jos neatly killed and smiling in death? The ludicrosity of the BBC article makes it highly suspect. As the 2019 election approaches and a revolutionary wave sweeps the nation, the APC -Buhari government is afraid of the impact of movements like "Cabal Must Go" and "Take It Back." Youth waves becoming a Tsunami, deciding the time has come to get rid of the old clueless goons who have held Nigeria back for decades. The power of youth being in social media, the Nigerian government is trying to stifle youth power by intimidation. Hence the recycling of the erroneous and false justification for the Berom massacre via the BBC. One wonders, did Fulani-Berom crises start when the "share" button was invented? It would be the second time in recent days the Buhari administration will use global highlights to try to justify its reprehensible behaviors. The Nigerian army was recently embarrassed into deleting a post where it justified a massacre on shia minority Muslims with a US president Trump empty threat video. It is a wonder why it is only in Nigeria that "fake news" will be underscored as a justification for lawlessness. The real reason for any massacre in Nigeria is the abuse and misuse of the police. Nigeria's police chief is on record for admitting that 80% of the police force have been hijacked by the wealthy cabal. Majority of the nation's already slim police are rented out as bodyguards for the private security of politicians and the wealthy cabal. The lack of police, who have all been looted by the cabal, renders the citizens defenseless and allows such massacres occur without prevention and without the culprits being arrested without regard for their "justifications." What higher justification for massacres and inciting news than the statements of the Nigerian presidency? Who should be arrested?, Garba Shehu and Buhari who speak for Fulani terrorists or innocent retweeting youth, only trying to raise awareness -via related images- to the deadly plight of the poor and abandoned? Finally, when in December of 2015, soldiers under the Buhari government aided by radical extremists of the "Izala" configuration in Kaduna, swept the town, killing as many as 1000 shia Muslims, burning and burying many alive, did the shia minorities retaliate with killing? Haven't there been as many real and fake images portraying the horror meted out on them by Izala inspired radical extremist youth transported in police vehicles to "provoke retaliation?" Had they done so, would the Buhari government have blamed its action and that of the Izala locals as being the reason for retaliatory barbarism by the shias? On the contrary, the shia are murdered gleefully by the Butcher Buratai and Mr Transmission Idris-led state forces, merely for throwing stones; this time the government does not use social media to absolve them of blame or divert attention from its failure to secure life. Disclaimer: "The views/contents expressed in this article are the sole responsibility of Dr Perry Brimah and do not necessarily reflect those of The Nigerian Voice. The Nigerian Voice will not be responsible or liable for any inaccurate or incorrect statements contained in this article."